They are all finely-furnished, modern, roomy apartments fitted out with a kitchen, 32” TV, safe, telephone, Wi-Fi Internet connection and independent heating, with a space in the hotel’s underground car park and laundry and wake-up services. 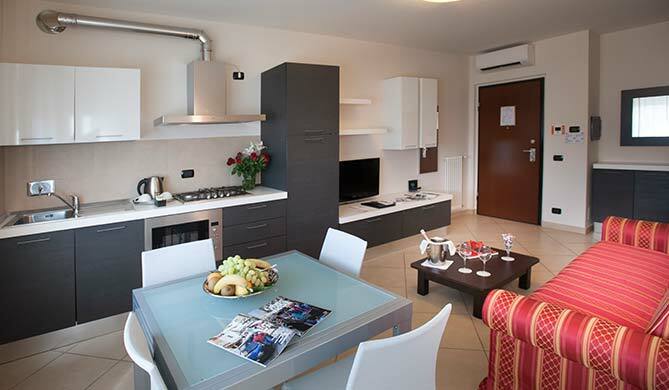 Ideal as a holiday base or for business clients, the apartments can be rented weekly, with the possibility of using the hotel’s facilities entirely independently, from cleaning and breakfast through to the underground garages and the gym. 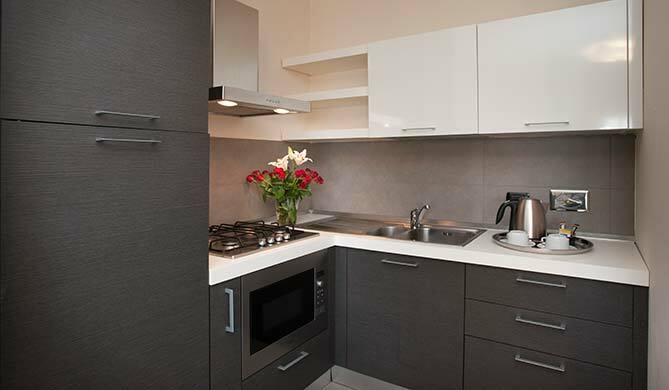 Ideal as a holiday base or for business clients, the apartments can be rented weekly.